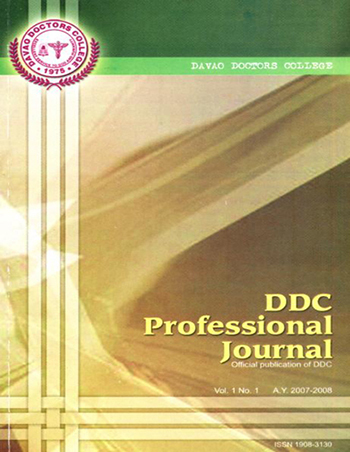 DDC Professional Journal is an official publication of Davao Doctors College. It is a peer-reviewed journal which publishes researches done by faculty and staff along multidisciplinary concerns such as health, education, environment and management. The publication is in line with the Vision, Mission and Goals of the institution to strengthen research culture to better serve the community. It provides an avenue for the dissemination of relevant and important research results. 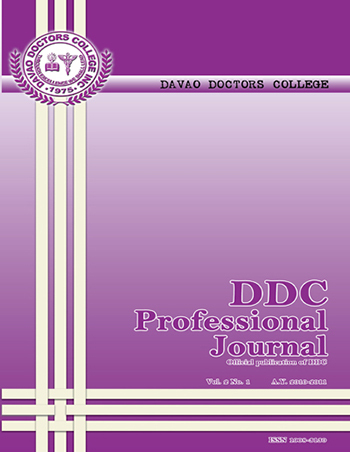 The journal is published once a year.